Today I worked at a gorgeous Kindy for 3 year olds. One of the parent helpers was the mum of child I taught nine years ago. (He is now 14 years old and they have another beautiful child who is attending the Kindy.) Not only did it make me feel very old it got me thinking how many years I have been working with children? This year it will be 19 years. I couldn’t believe it! So I can honestly say kids are my life! I’ve worked as a teacher, child care worker, tutor and of course the most hardest job of all MUM. All roles are very rewarding and I love what I do however there are times that I do wish I could work in an office in front of a computer and talk to adults. But I’m sure I would be bored in no time. So as I sat with each child painting stripes on an egg carton to make a buzzy bee, singing the buzzy bee songs and going outside and enjoying the sunshine, I thought wow this is the perfect job for me! 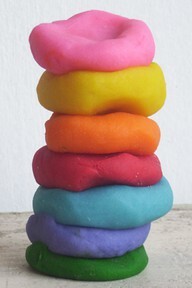 Play dough – an oldie but goodie. I like to spice it up by adding glitter, rice and scented oils. 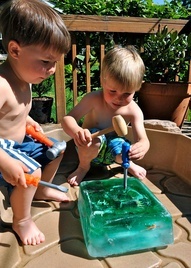 Instead of typical playdough cutters why not use scissors, small toys like farm animals, cars, matchsticks and pop sticks. 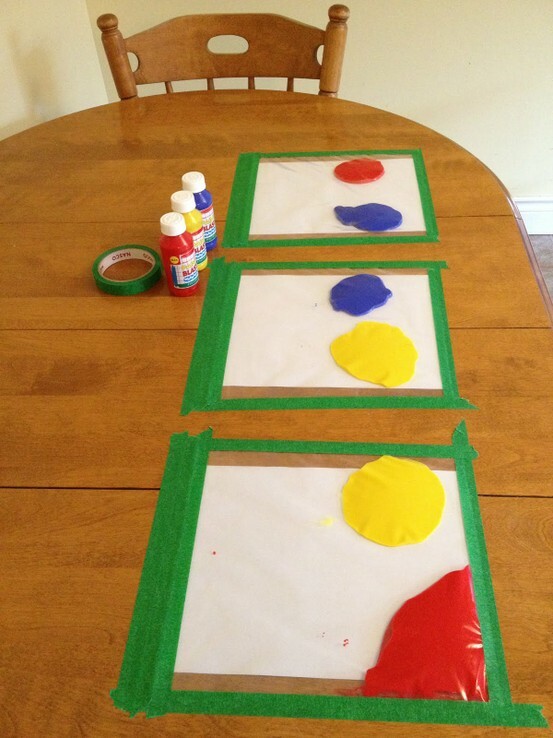 Paint in ziplock bags, taped to table. Great distraction, no mess! Giant Ice Cube Excavation! Great for hot summer days or freeze rubber gloves and add them to the water trolley. 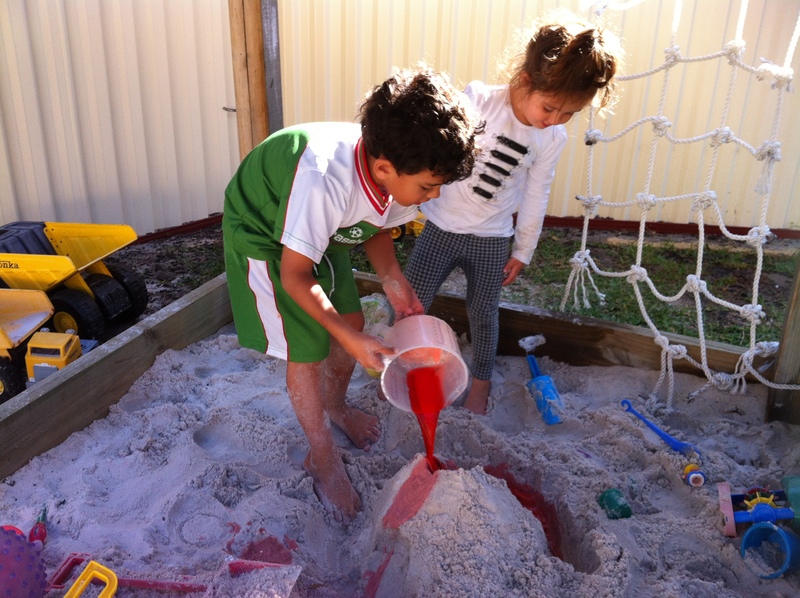 Sand Play – mud pies, sand castles, cars and trucks, my kids love making volcanos with coloured water. Please feel free to add any of your favourite ideas. Love the paint idea – genius!